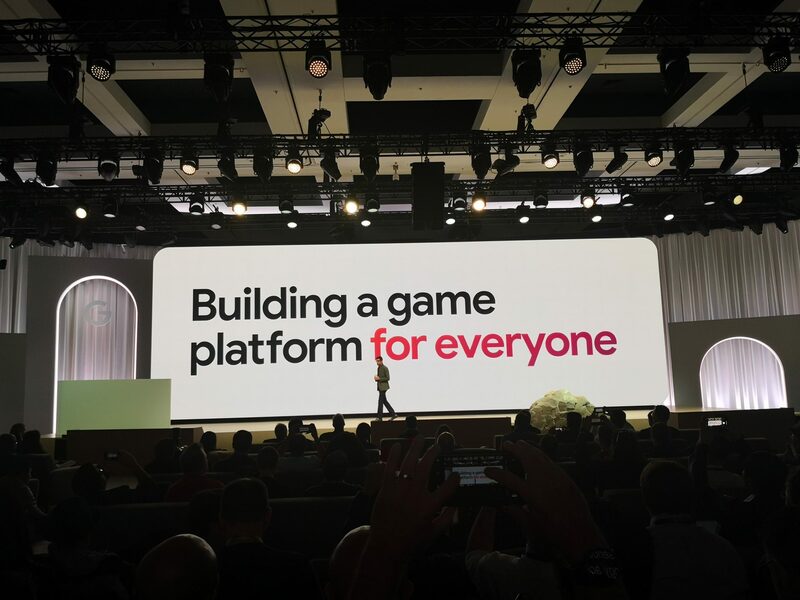 Today at the Game Developer Conference in San Francisco, Google announced a new platform called Stadia. Stadia is a cloud-based gaming service that will run on Google’s custom GPUs powered by AMD to deliver a cross-platform gaming experience for those running Chrome browsers, Chromecast, and Pixel devices. The service is set to launch at some point in 2019 starting in USA, Canada, UK, and parts of Europe. Stadia will use Google’s data centers with GPUs that have an impressive 10.7 teraflops of power, and each instance of Stadia will be powered by a custom 2.7GHz x86 processor with 16GB of RAM. A streaming service like this breaks all the ways that we have currently thought about gaming. Last year, Project Stream was the first public beta test of these capabilities, where Assassins Creed Odyssey was streamed from a Chromecast browser at 1080p and 60FPS. This year, Stadia will launch at 4k with 60FPS and even go up to 8k in the future across multiple devices. Google demonstrated that Stadia can be run seamlessly on myriad devices running Chrome or Chromecast almost regardless of the specs that the devices have. It also showed how one can switch from playing a game on one device to another without having any real delay in the gaming experience. Since these games are running in the cloud, it is now also possible to re-imagine the multiplayer split-screen experience that many gamers have longed for in the past. Due to the intense processing power needed for current AAA games in even single player modes, developers have often faced challenges integrating split-screen gaming experiences. With Stadia, since every instance is run by a separate processor, multiplayer gaming can now happen again. In order to get the full gaming experience, Google also announced the new Stadia Controller which has an integrated Google Assistant and capture feature to allow content to be shared and interacted with at a moment’s notice. Not only will Stadia change the way players play games, it will also change the way content creators and developers make games as well. Google has added a suite of tools that will help developers design games faster, more efficiently, and with this cross-platform gaming experience at the forefront. An example of this is Style Transfer ML, where you can load up a picture with certain textures or designs and through the magic of machine learning, your game style and environment will change according to the image. Content creators, especially those on YouTube, also gen more tools to make their stream sessions more engaging and interactive. Crowd Play is a new feature where YouTube content creators can stream games and allow access to subscribers to join in on the next game with the simple press of a button, which lands them in a player queue. State Share is another feature where gamers can share specific movements of games, and even with the ability for others to try that exact moment of the game with the link. This can create more content where streamers can ask their subscribers what they would do and have them try out the situation first hand. Lastly, Google announced that has even started its own gaming studio, Stadia Games and Entertainment, led by industry veteran Jade Raymond. The studio will make Stadia-exclusive games with over 1,000 creatives and engineers already working on titles. This is a big announcement for Google and while it seems ambitious, it looks promising due to the proof of concept that it debuted last year with Assassin’s Creed. Other companies such as Microsoft are planning to launch their own streaming services, while Sony, Nvidia, and Valve already have streaming options available. There are no exact details on when the service will launch, but more details will surely come. The ability to play games quickly and seamlessly on laptops, tablets, phones, TVs, and desktops is impressive, and will be even more so with the promised 4k resolution and 60FPS. Stadia will allow Google to reach users who have previously been left out of more graphically intense games. It will help democratize gaming across different consumer segments. However, there are still several questions that need to be answered before we can say this will be a runaway hit: How will gamers respond to playing games on Chrome as their main platform? Many people have invested a lot of money and resources into games that are run on Steam or other platforms and may not be willing to move away from these. How will mobile gaming become viable given the lack of controllers or buttons? What will effect will 5G have for mobile users? Which games will make the leap over to Stadia to attract a critical mass? How scalable is Stadia and at what price point will it be offered to make it an economically viable revenue stream for Google given the massive data centers it needs to operate? Lastly, how will Google address potential latency issues due to ISPs and bandwidth restrictions? This is an important issue for many gamers looking to play online multiplayer games that are very latency sensitive. Many of these questions will be answered in the future with upcoming announcements, and we are curious to see how Stadia will stack up to other more established gaming giants such as Microsoft and Sony. Maurice Klaehne is a Research Analyst with Counterpoint Technology Market Research, based out of Boston, USA. He has spent more than five years working as a market researcher and strategy consultant heavily focused on emerging markets and uncovering new growth opportunities for his clients which include business service, CPG, healthcare, and life science companies. 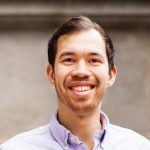 Maurice holds a Master's in International Development and Management from Sweden's Lund University, and an undergraduate degree in Political Science and International Development from Canada's McGill University. He is a native German speaker and also speaks fluent French.